POINT HOPE, INC., is charity based in Washington State, in the United States. POINT HOPE GHANA, is our sister NGO (non-governmental organization) based in the Central Region of Ghana, West Africa. In both the U.S. and in Ghana, we are a voice for forgotten children--children who might fall through the cracks and gaps in society, but who are valuable and worthy of being heard. A Puget Sound Ferry and a sailboat share a view of the Olympic Mountain Range in the Pacific Northwest, off of the Pacific Ocean. You probably know where Washington is, but what do you know about Ghana? 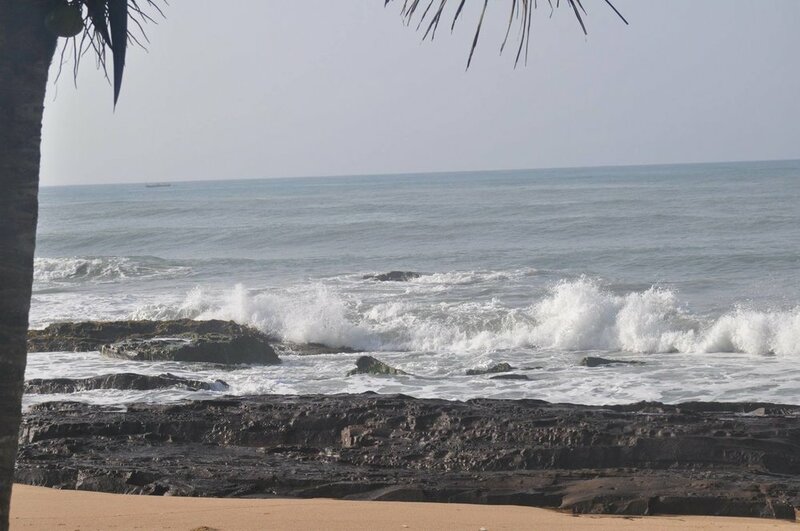 The Gulf of Guinea view from Cape Coast, Central Region, Ghana, off of the Atlantic Ocean.